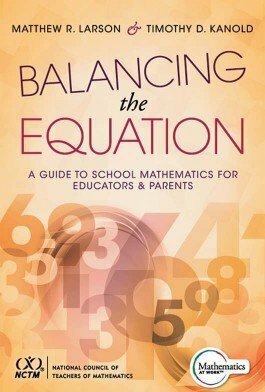 Copublished with the National Council of Teachers of Mathematics, this book focuses on individuals involved in K–12 mathematics education—particularly educators and parents—who seek to improve their understanding of mathematics and help students succeed. The authors tackle popular misconceptions and misguided discourse about mathematics education and draw on peer-reviewed research about instruction that can significantly improve student learning. Explore reasons why expectations for mathematics teaching and learning must be raised. Study the history of the progression, changes, and disputes in K12 mathematics education. Discover insights about mathematics education in an era of mathematics reform. Define mathematical literacy and what elements are part of effective mathematics instruction. Learn the steps that must be taken to support the teaching and learning of mathematics so all students can be college and career ready.